It took Lionel Messi just over an hour in Argentina's World Cup opener against Bosnia-Herzegovina to show why so many fans consider him the best in the world. After a frustrating first half, the Argentina captain scored in trademark style in the 65th minute on Sunday night, completing a quick 1-2 connection with Gonzalo Higuain and running through defenders before striking a brilliant left-footed shot off the post. The goal - only the second for Messi on football's biggest stage - set off wild celebrations among the throngs of Argentine fans that had turned the famed Maracana stadium into a sea of blue and white. It also energized an unimpressive Argentina team that was ahead at that point only because of an early own goal by Bosnia. 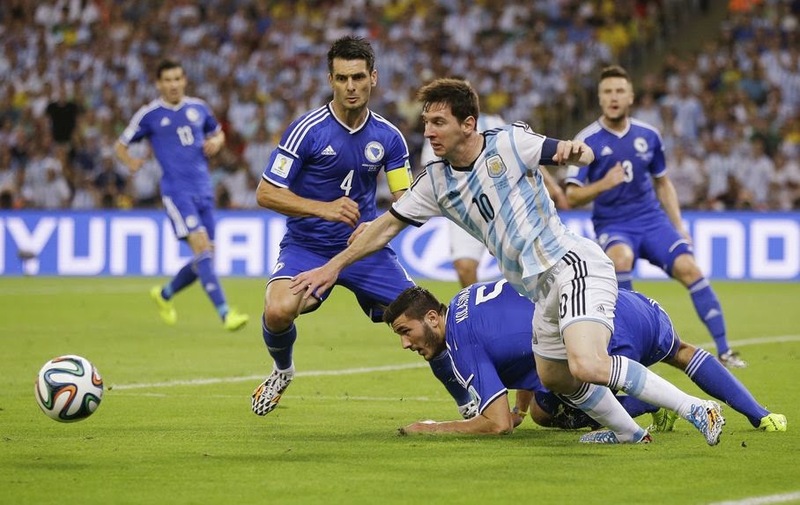 Vedad Ibisevic scored a close-in goal in the 85th, but Argentina held on to win 2-1 in the Group F match. "It's the first game, I was anxious, nervous," Messi said. "It was important to start with a win. We've got to improve certain things, but it was important to start with the three points." Bosnia got the worst possible start to its first World Cup when Sead Kolasinovic scored an own goal after just three minutes. 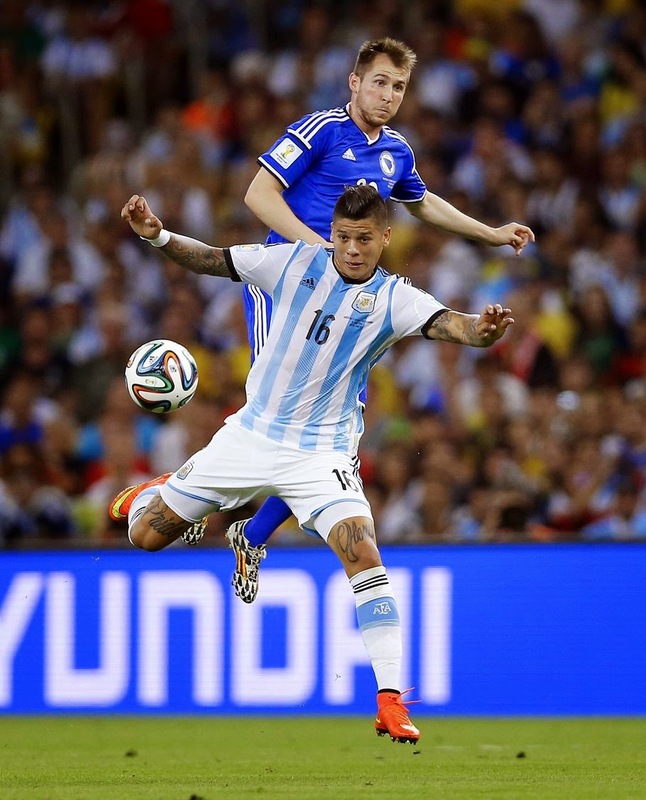 Messi sent a free kick from the left flank into the penalty area that Marcos Rojo barely touched before the ball bounced off Kolasinovic's foot into Bosnia's goal. Bosnia bounced back after the early setback, with Izet Hajrovic slipping through Argentina's five-man defense but failing to beat goalkeeper Sergio Romero. Five minutes before the break, Senad Lulic tested Romero's reflexes with a well-timed header on a corner kick. Meanwhile, there was no sign of Argentina's vaunted attack, as Bosnia gave Messi no space to work his magic and Sergio Aguero hardly touched the ball. 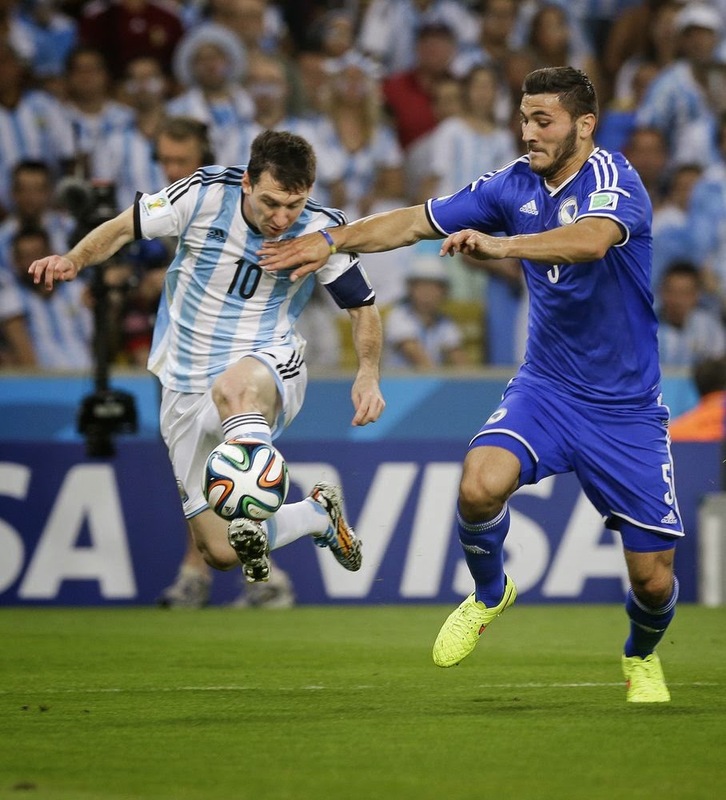 Coach Alejandro Sabella put in Higuain at halftime, which allowed Messi to take a step back. That shift proved crucial, getting the Barcelona star more involved in the action. 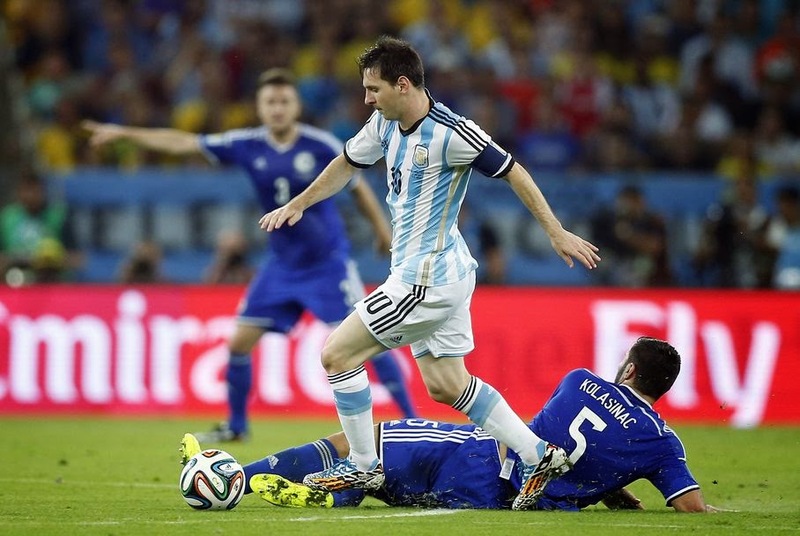 "The changes gave Messi more support," Sabella said. "He doesn't need much, because he's the best in the world. But there is always a context that can enhance him a little bit more." After a string of dangerous runs, Messi combined with Higuain, pulled left along the penalty area, and scored after leaping over defender Ermin Bicakic without losing speed and balance. Messi, who has been accused by critics of not playing with as much heart for the national team as he does for Barcelona, pulled on his blue-and-white striped jersey and ran to the sideline before pumping his fist toward the fans. "I wanted to release all the energy from other times when things didn't go right (with the national team)," he said. "It's always a pleasure to score with the national team." 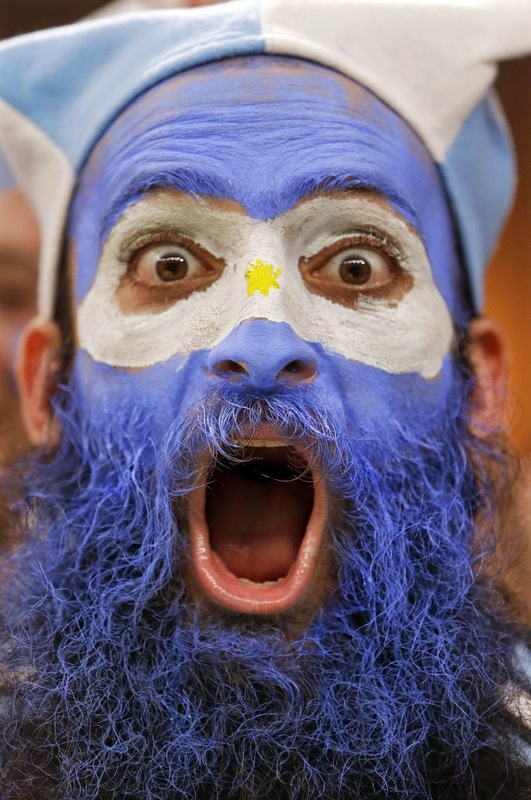 Higuain said Bosnia was a strong opponent that didn't allow Argentina to control the game. "We scored the second goal at an important moment of the match and that calmed us down a bit," the Napoli striker said. Second-half substitute Ibisevic put some nerve back in the match when he picked up a pass from Senad Lulic and slotted the ball between Romero's legs. Bosnia started with Edin Dzeko as a lone striker and coach Safet Susic only added Ibisevic after Argentina's second goal. "I told him that playing against Argentina I cannot play two attackers," Susic said. "And besides in the midfield we have very offensive-minded players. Playing two strikers (from the start) would have been very risky." Argentina plays Iran on Saturday, while Bosnia will play Nigeria. The match was the first World Cup game at the Maracana since Brazil lost to Uruguay in the final round of the 1950 tournament, which remains a deep wound in Brazilian football history. The July 13 World Cup final will also be held at the Maracana.